Maruti Suzuki will launch the all-new Ertiga MPV in the last week of October 2018, just in time for Diwali 2018. The 2nd-generation MPV will replace the current Ertiga in the private car space, but the first-generation model will continue to be built for the cab market as the Tour variant. The all-new Ertiga is based on the HEARTECT platform that it shares with vehicles, such as the Swift and Dzire. The use of this platform has allowed the new Ertiga to keep its weight low despite getting larger. This is expected to translate into better pick-up and fuel efficiency on the 2nd-generation Maruti Ertiga. Another key change on the MPV is the totally revised styling that makes the new Ertiga look grown up, and more premium. However, Maruti is expected to price the new Ertiga close to the older version, with a small price premium of about Rs. 30,000. The new MPV will get a major mechanical change in terms of a brand new 1.5-litre K Series petrol engine that outputs 104 Bhp-138 Nm. This engine will be paired to a 5-speed manual and 4-speed torque converter automatic gearbox options. This engine will also get the Suzuki Hybrid Vehicle System (SHVS) mild hybrid that adds idle stop, brake energy regeneration and torque assist functions. 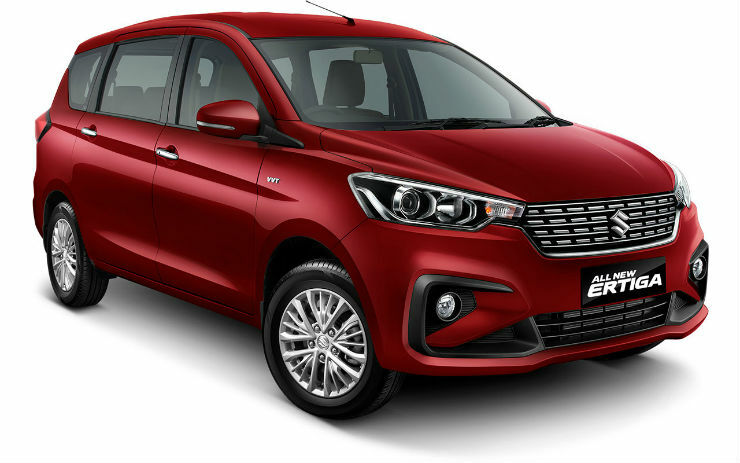 The new Ertiga will continue to operate with the 1.3-litre Fiat Multijet turbocharged diesel engine (89 Bhp-200 Nm), even as Suzuki is putting together an all-new 1.5-litre diesel engine that will eventually replace the smaller unit. The diesel engine will operate with a single, 5-speed manual gearbox. On the inside, the new Ertiga will gain space and new features. A touchscreen infotainment unit with Android Auto and Apple CarPlay will be offered on the top-spec variant. The interiors will feature beige trim and a new dashboard design. We expect prices of the new MPV to start from around the Rs. 6.5 lakh mark.